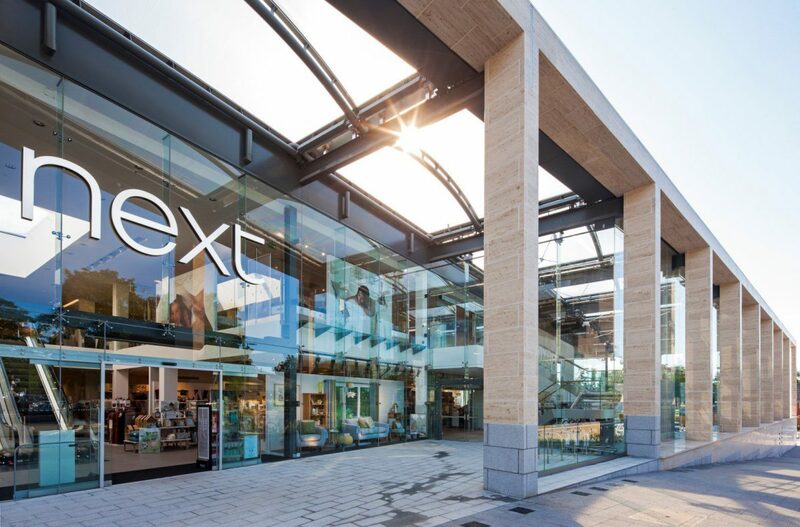 The Hedge End store, just outside Southampton, is the first of a number of very high quality, new build stores being planned by Next across the UK. 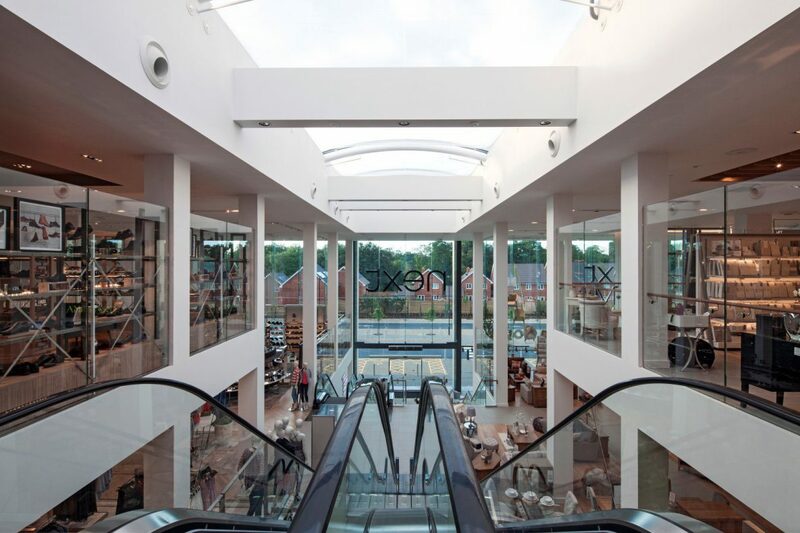 The design by Next’s architects called for Jura Beige limestone faced walls and feature columns to three of the four elevations, structural glass and an ETFE roof over the Garden Centre, Conservatory and Main Entrance areas. 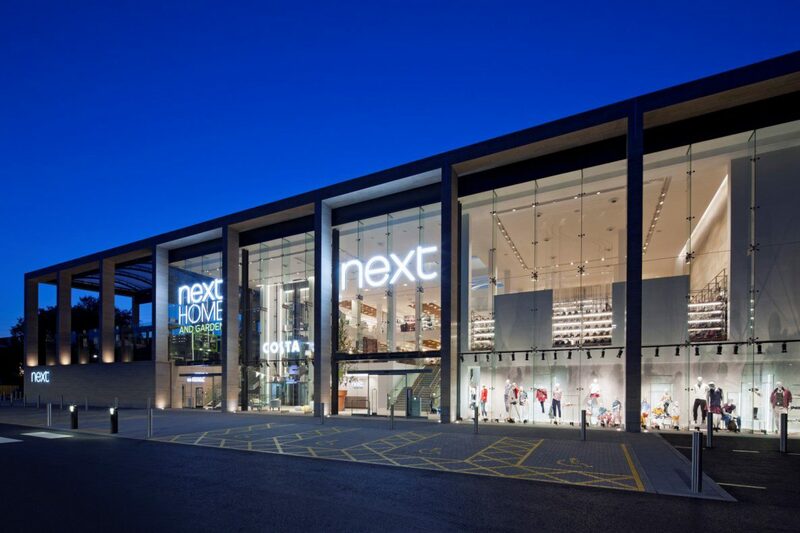 Our Southampton office was first approached in early 2013 by Midas Construction to act as their architects for this new flagship Next store which was to be procured under a Design & Build contract. At the tender stage the Midas team came up with an innovative approach to the project, replacing the suggested traditional masonry cavity wall construction with a rain-screen cladding solution. The stone panels are hung on cladding rails on composite panels, clear spanning between the main steel frame. With the long procurement times for the Jura Beige stone, this approach allowed a watertight building to be achieved at the earliest opportunity, with the stone becoming a finishing trade. The building is flooded internally with natural daylight via a series of large ETFE rooflights, with the remainder of the roof being covered in photovoltaic panels, helping the building to achieve a BREEAM rating of ‘Very Good’. 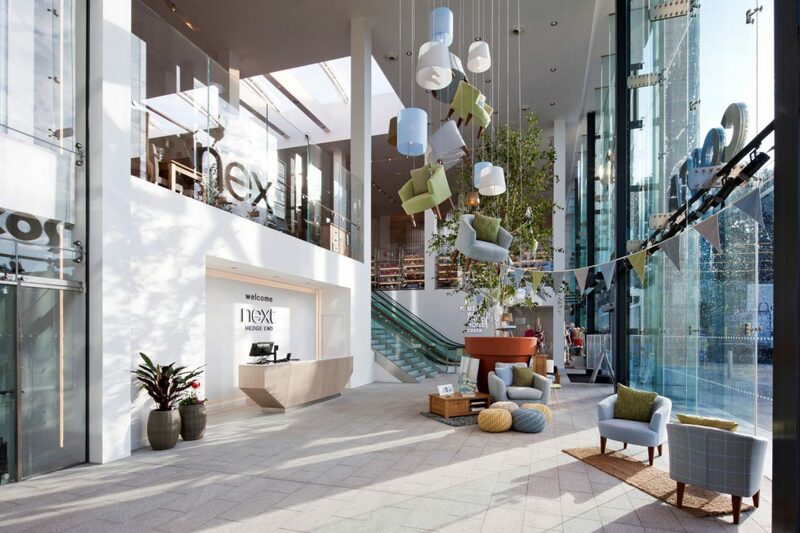 “Outstanding” was the comment by Lord Wolfson – Chief Executive of Next at the opening in August 2014 of the new Next store including Home & Garden Centre in Hedge End.